Purpose/Objetives: Combinations of immunotherapy with radiation or radiochemotherapy are currently under investigation in several cancer types and clinical settings. In this survey, we solicited members of radiation oncology institutions in Germany to review the current status of research in this field, underline critical issues such as oncological benefit, treatment toxicity and obstacles in clinical research. Method: We surveyed radiation oncology institutions in Germany via an anonymous online questionnaire sent by e-mail to members of the German Radation Oncology Society and yDEGRO (working group of DEGRO e.V.). The questions were based on current studies at their institutions, clinical settings (cancer type, cerebral metastasized situation), emphasizing the oncologic benefit and obstacles of clinical research. Results: We received a total of 26 responses (61.90% response rate). Of which 23 were completed and returned, hence eligible for further evaluation. The responders represent 14 different departments of radiation oncology at German university hospitals. 14 (60.90%) responders perform radio-immunotherapy studies at their institutions and participate in multicenter studies. 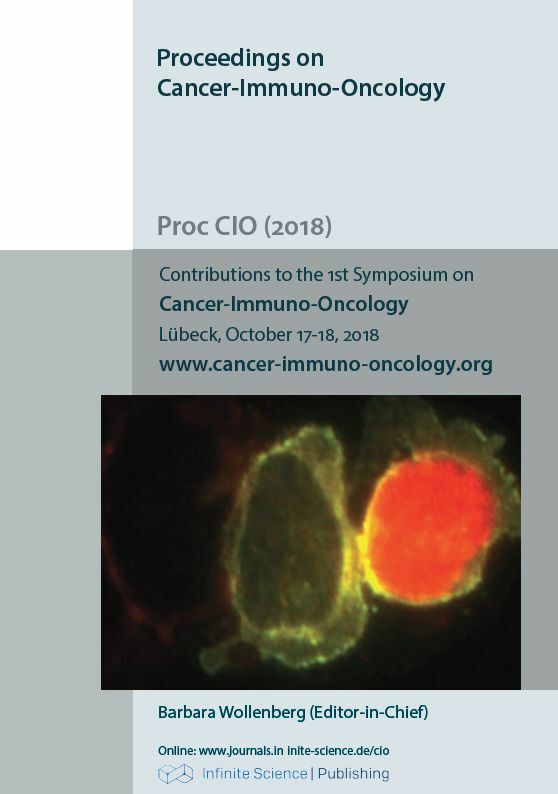 Radio-immunotherapy combinations were investigated mainly in head & neck tumors (95%), lung cancer (57%), malignant melanoma (48%) and tumors of the upper GI tract (8.7%). Combinations of radiochemotherapy with immunotherapy were only tested in head & neck cancers (52%), non-small cell lung cancer (NSCLC) (8.70%) and malignant melanoma (4%).The oncologic benefit of radio/radiochemotherapy with immunotherapy is assumed to be effective or very effective by >85% of all responders. Regarding possible obstacles to clinical research of radio/radiochemo-immunotherapy combinations, 21 (91.3%) responders mentioned lack of financial resources, 18 (78.3%) responders shortage of human resources, 10 (43.5%) responders lack of sufficient evidence and 6 (26.1%) lack of ethics committee approval. ongoing prospective trials are eagerly awaited and our survey shows great acceptance of new combinations of radio/radiochemo-immunotherapy.